Starbucks’ classic favorites get an upgrade! 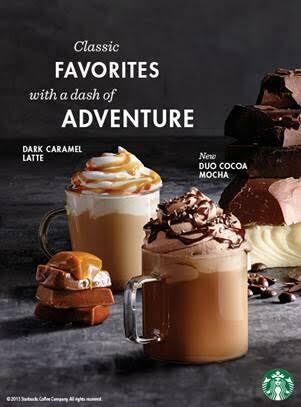 Starbucks releases a new special limited edition company card, featured drinks, coffee beans and food items for the season beginning September 15, 2015. The special limited edition Starbucks Coffee Company design card captures Starbucks heritage. Starbucks has been consistently sharing great coffee and helping make the world a little better since it opened in 1971. Our favorite latte and mocha get a naughty upgrade that will surely tease your sweet tooth. The Dark Caramel Latte is a luxurious treat that caramel lovers simply cannot resist. Creamy dark caramel sauce with steamed milk is combined with the signature espresso finished withwhipped cream and a custardy, caramel flan drizzle. The Duo Cocoa Mocha is a combination of duo cocoa sauce, steamed milk and the roasty signature espresso creating a smooth and well-balanced beverage. It is then topped with chocolate whipped cream, mocha drizzle, and cocoa nibs sprinkles. Some of you might have tried these drinks before they were released today. Select Starbucks card holders were sent an email for them to try these beverages in advance. Starbucks Anniversary Blend coffee beans are also available in celebration of their 25th anniversary. It’s bold and unique flavor will definitely please the coffee lover in you. 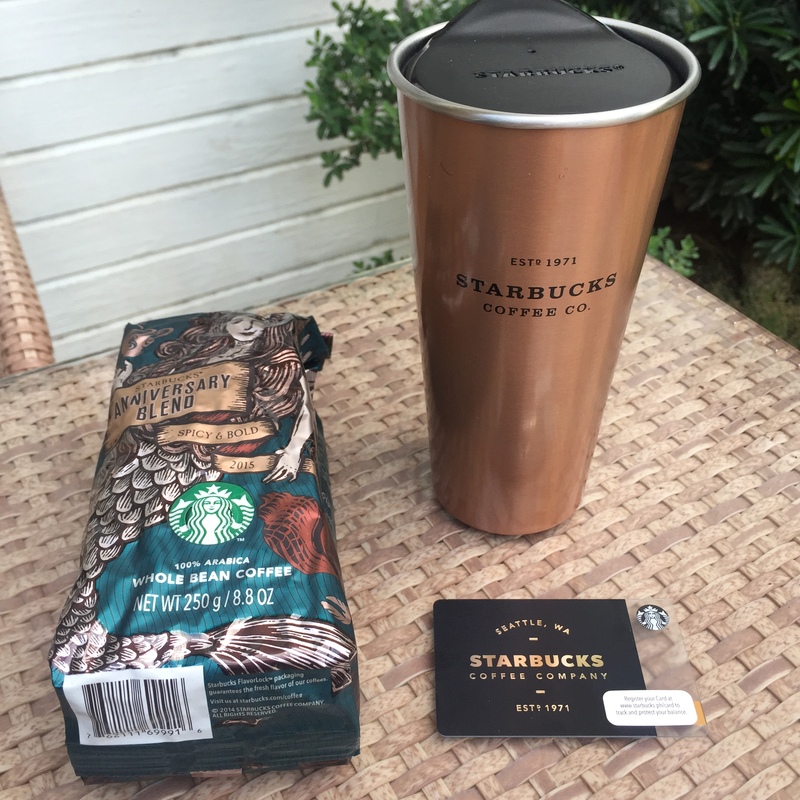 Also, available for this season is the Starbucks Autumn Blend, a multi-region blend with notes of subtle spice, cocoa and fine herbs makes for a “big” cup with medium acidity, full body and a round mouthfeel. New food items will also be rolled out beginning today, these are Chocolate Hazelnut Cake, Double Chocolate Peanut Butter Cookie, Chocolate Leaf Cookie, Spinach Mushroom Fritata and my breakfast favorite, Spanish Omelette Wrap. All of these items are available starting today at your favorite Starbucks store. You know what to do, I wouldn’t mind sharing a cup with you.